Do you want to learn how to make chocolates with a crisp outer shell and a smooth, creamy centre? Or maybe you want to learn some of the chocolatiers’ secrets? 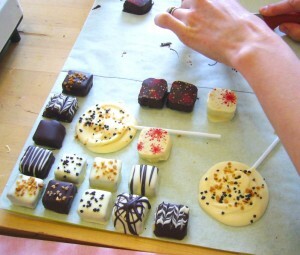 Kokopelli’s Chocolate runs private chocolate-making workshops and parties, which can be tailored to what you want to learn. Get messy tasting, dipping and decorating! A fun, tasty way to celebrate.